This project was to improve the reliability of a compressor lube oil low pressure trip at a Midwest refinery. Compressor had legacy 1oo1 low oil pressure switch as the trip sensor. Better and more reliable oil pressure measurement would prevent spurious low oil pressure trips or failure to trip. A single low oil pressure switch is inherently not reliable enough for modern refinery runtimes of 5 years or more. Redundant 2oo3 pressure switches would not be much of an improvement as they would require frequent testing to determine if they are working to manufacturers and end users’ specifications and requirements. 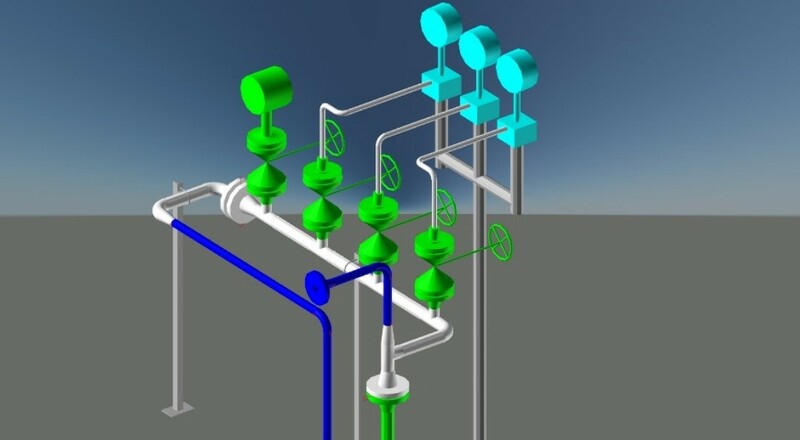 Engineer a new lube oil section of piping to have 2oo3 smart pressure transmitters with an accuracy of better than 0.1% and transmitter diagnostics to provide a much higher diagnostic coverage then pressure switches. This means less function testing is required. The advantage of 2oo3 pressure transmitters is that no single transmitter failure will either cause or prevent a lube oil pressure trip from occurring. Stability of modern pressure transmitters for accuracy is between 5 to 10 years depending on vendor specifications selected.